Berlioz's large choral works such as the Requiem and the Te Deum are well known for their immensity, and he also wrote extended dramatic choral works for the concert stage, such as Roméo et Juliette, La damnation de Faust, and L'Enfance du Christ. In addition he wrote smaller choral works throuhgout his life for every kind of group and every kind of purpose. In Berlioz's time purely orchestral concerts with no chorus participation - the kind of concert that is normal today - was the exception rather than the rule, for a chorus was very often to be seen and heard taking part in mixed concerts which included many solo items as well as choruses, symphonic works and concertos. In addition it was an age when social philanthropists believed strongly in the moral benefits of choral singing, choral societies sprang up everywhere in great numbers so that in the later part of the nineteenth century a city like Paris could boast dozens of active choral bodies. For grand festive occasions huge choruses with over a thousand singers were sometimes assembled, as for axample in November 1855 when Berlioz mounted some immense concerts to mark the close of the Paris Exposition Universelle of that year. He also composed choral chamber music, evidently intended for very small groups with a piano accompaniment or none at all. Some of these exist with piano or orchestral accompaniments as alternatives. There was a ready market for such pieces, and although we have few records of performances, since they were usually unreported by the press, publishers were willing to meet the evident demand of a growing circle of choral amateurs. Of the works in the present selection with orchestral accompaniment, the earliest is the Scène Héroique, also known as La Révolution Greque, composed in 1825-26 to a text by his lifelong friend Humbert Ferrand. Both text and music have an old-fashioned ring, with echoes of the popular style of the 1790s with solid rhythms and vigorous cries of "victoire" and "triomphe". It was inspired by the Greeks' fight for independence from the Turks, a campaign that aroused Europe's passions and drew Byron himself to the action. The central Prière for woman's voice is especially effective, and also the relentless galopping rhythms of the finale, summoning heroes to action. In the following year, 1827, Berlioz competed for the Prix de Rome, awarded annually to young artists and carrying a period of study in Rome as its prize. He was not to win it until 1830, but La Mort d'Orphée, the first cantata he wrote for the competiton, is strikingly original. It was never performed in his lifetime. After some evocative forest murmurs a solo viola and two flutes give out a long placid theme which symbolizes the enchantement of Orpheus's lyre. Orpheus himself enters to some forceful recitative and sings rapturously of his love and his art. But he is doomed, and the wild Bacchantes tear him to pieces in a movement of relentless fury. The most poetic moment is heard at the end, when the strings of his broken lyre are caressed by the breeze while a solo clarinet poetically recalls the opening theme of the cantata. In 1829 Berlioz set a group of poems by the Irishmen Thomas Moore, translated into French by Thomas Gounet. Six of the nine pieces are solo songs with piano accompaniment while the remaining three combine solo voices and chorus. In the Chant Guerrier reflective solos for tenor and bass are heard between bursts of patriotic enthusiasm for the chorus, while the Chanson à boire naturally diverts that enthusiasm to the pleasures of the bottle. But we are reminded by the tenor soloist in a melody of characteristically broad span, that tears and laughter are never far apart. The Chant Sacré is a six-part devotional setting for chorus with solos for soprano and tenor voices. In the first of these solos the evocation of the starry night draws suggestive tremolos high in the piano. When the piece was orchestrated in 1843 the tremolos convey a magical atmosphere, and Berlioz omitted the two other solo verses since the accompaniment is strictly inappropriate for their words. The score has a heavy complement of clarinets, giving a marked solemnity to the piece entirely in keeping with the awestruck tone of the poem. 1829 is also the year of the Ballet des Ombres, a brilliant exercise in spooky fantasy. Based on a poem by Herder, it echoes the satanic elements of Faust and Hamlet, Berlioz's favourite reading at that time, as the Shades intone their ghostly sing. The ending is particularly graphic as the chorus holds on to a D flat major chord and the piano disappears to nothing in C minor. The Sopranos sing an octave above the tenors throughout, a sonority of haunting strangeness. 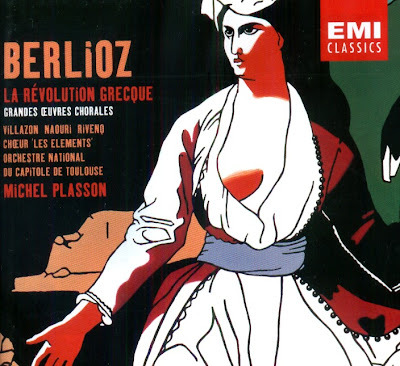 Sara la baigneuse, one of Berlioz's most beautiful pieces, started life in 1834 as a simple song for male-voice quartet and orchestra, a version now lost, but he later elaborated it for three choruses - one of women only, one of men only, and one mixed.This gives no weight but intricacy, and the orchestration is particularly delicate. Hugo's poem describes Sara dallying in a pool in an oriental setting. When it was performed in Leipzig in 1854 German sensibilities were shocked by the description of Sara slipping naked from the water, but they could hardly accuse Berlioz of treading roughly on delicate ground; his handling of the text could not be more skilful and apt, and his light touch with the orchestra, especially the woodwind, is something we must recognize as entirely characteristic. Berlioz could and did roar like a lion; in such refined choruses as these he sings like a nightingale. In a quite different tone Berlioz set Béranger's poem Le Cinq Mai as a homage to Napoleon, whose memory Berlioz greatly revered. During his stay in Italy and for several years afterwards he planned a huge and ambitious work to celebrate Napoleon's campaigns in Italy, of which Le Cinq Mai was probably intended to be a part. It is a work that Berlioz himself performed often, featuring a bass soloist and some remarkable orchestration: double basses divided into four parts, galloping strings, brass fanfares and distant cannon effects. Although there is a recurrent refrain, each verse is separately set, and the refrain itself, "Pauvre Soldat", is strikingly intensified at each return, with new details in the accompaniment, and finally growing from the tenderest treatment on muted strings to an immense clamorous tutti at the top of the final phrase, then dying away to nothing. Patriotic pride is also to be heard in the Chant des chemins de fer, composed in 1846 for the formal opening of the railway line from Paris to Lille, in the north of France. Jules Janin's text invokes the glories of progress, the pride of the workers, the monarchy, and the wonders of science, to be sung out of doors and received by hats flung high in the air and bursts of cannon fire in Lille's main square. Berlioz was given very little time to compose it, and he was careful not to make the orchestration too subtle for the occasion. The main refrain is heard six times, with a tenor soloist leading the male chorus. The fifth refrain ist curtailed, leading into a strange devotional hymn of thanksgiving where the women's voices join in. The best passage in the cantata is the third verse section, telling of the old men's pride in the new railway, a beautifully moulded melody with rich string support. Tristia is a compilation of three works written at different times and published as a set in 1852. Berlioz assembled them in London in 1848 under a title borrowed from Ovid meaning "sad things". 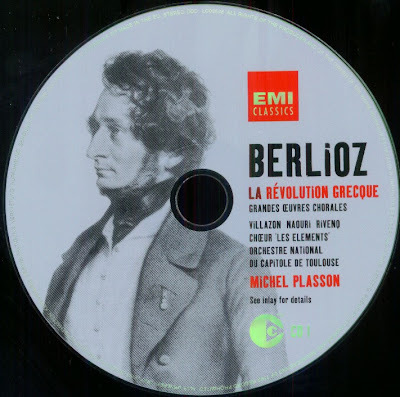 Like Ovid exiled from Rome, Berlioz felt exiled from Paris by the 1948 riots and by his disenchantment with all musical affairs in his home city. The Méditation religieuse was one of the few pieces he composed in Rome during his stay in 1831. It is a setting of a poem by Thomas Moore for six-part chorus and small orchestra which makes particularly telling use of a solo horn at the end against fading strings. La mort d'Ophélie is a setting of a poem by Berlioz's friend Ernest Legouvé. It was originally composed in 1842 as a song for solo voice and piano. In February 1848 he announced a Shakspearean concert to be given at Covent Garden to include this new version for women's chorus and orchestra, but the concert was not given. For the first time in his life Berlioz wrote for the low contralto voices which he admired in English choruses but had never encountered in France. The poem is a free paraphrase of Gertrude's account of Ophelia's death in Act IV of Hamlet. Ophelia was the role that Harriet Smithson, later Berlioz's wife, had played in 1827, when he discovered Shakespeare for the first time. The Marche funèbre for the final scene of Hamlet was probably composed in 1844, when there was some prospect, never realised, of a production of the play in Paris with music by Berlioz. This solemn funeral march, one of Berlioz's finest pieces, enacts Fortinbras's command "Go, bid the soldiers shoot" with a volley of musketry at the climax. The piece ends with a few bars of cavernous silence and some drooping phrases of infinite sadness. The chorus, intoning "AH!" from time to time, hold on long after the orchestra has disappeared into silence. Three late choral works complete the collection. 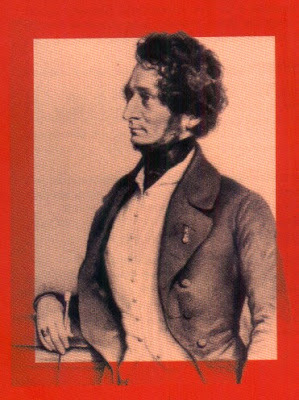 The Hymne pour la consécration du nouveau tabernacle was Berlioz's thank-offering to a curious individual named J.H.Vries, widely known as Docteur Noir, for attending him in 1859 when he was critically ill. Vries dreamed of a universal religion that would unite all nations, to be sanctified in a new temple to be built on the Champs-Elysées. The hymn consists of eight repeated verses. Toward the end of his life Berlioz composed two sacred pieces on Latin texts for women's voices. The Tantum Ergo displays some elegant chromatic part-writing, while the Veni Creator Spiritus is simple and affecting, although less obviously revealing its composer's style. There is no record of these pieces being performed in his lifetime. The 2 CD set was released by Emi Classics, 2003 (DDD). 7243 5 57633 2 7.